When can the wall be your best friend? Why can the wall be your best friend? No, I’m not talking about the gym wall at your first middle school dance. I am talking about being out and about in a chaotic public environment when it hits the fan, when chaos erupts and people have lost their minds! The wall might just be your best friend and greatest ally at that point in time. I know you are thinking “What? The wall can be my friend? How?” Yes the wall can be your friend; especially if you can’t get out of the building or out of the way or the tugs are closing in from all sides, the wall can save your life. Period! What do I do with my back to the wall? Do I kick? Scream? Run away? Yes to all 3 and then you might want to learn a few more tricks like learning how to push off the wall into your assailants, how to move the assailant into the wall, replacing where you were located and then maybe even how to trap two thugs closing in on the wall! Yes you can. A wall! Do you face forward? Do you face backwards, i.e. putting your back to the wall? If you are able to put your back to the wall you NOW only have to survey a line of sight that is 180 degrees and not 360 degrees. How does that help you? Well, if you have your back to the wall and now can see from left to right or right to left, no one can can sucker punch you from behind. The wall prevents this from happening. You have just taken out an entire offensive attribute of attacking from the rear. At TDA, we have developed specific training scenarios for using the wall. We all need to learn how to fight with our back to the wall. Once you learn this, you will never look at a wall the same. Have YOU trained the Wall? Do you know what to do when the Wall is nearby? Can you bounce off the Wall effectively? 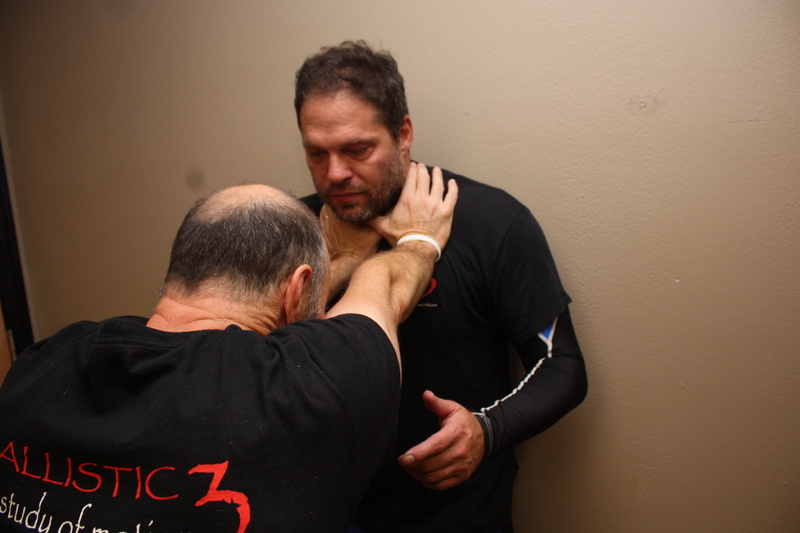 We invite you to experience reality based self defense training with us every Tuesday and Thursday nights. Please contact us to schedule your first class.